A drug possession charge can have a massive impact on every aspect of your life and can have serious long-term consequences if it leads to a felony criminal charge. No drug possession charge should be taken lightly and no case should be considered unwinnable either. If you have been charged with drug possession, it is vital that you are made aware of your rights and that you have a trusted legal advocate in your corner. Criminal defense attorney Lance Sobelman has the knowledge of drug laws and is dedicated to protecting the accused. If you are facing a drug charge in Massachusetts, you need a lawyer you can trust and count on to protect your rights and fight vigorously for a fair outcome. You need Attorney Potash. Drug possession charges in Massachusetts can lead to serious penalties depending on the type and amount of drugs alleged to be involved. In Massachusetts, it is only a civil offense to have under one ounce of marijuana in your possession. Possessing a larger amount or selling marijuana is still a criminal offense. Possession of marijuana, hashish, and other THC substances can result in the loss of a driver’s license for one year, or two years if there is another offense involved or if the person is near a school or park. Class A drugs have the highest penalties as they are seen as having the highest potential for abuse. They include heroin and morphine. Possession can lead to two years in jail, or two and a half if it is a second offense. Class B drugs include cocaine, ecstasy, oxycodone, and hydrochloride. Possession of these drugs can lead to one year in jail and two years if it is a second offense. For anyone charged with possession who is 17 to 21 years old, there are diversion programs that may help lessen the impact a drug possession charge can have on a person’s future and reputation. Diversion programs can help someone avoid criminal penalties and can also result in a sealed conviction. Drug possession charges can lead to high fines and jail, especially for subsequent offenses. The long-term impact if the charge is a felony can mean a permanent criminal record, limited job options, and possibly deportation. Family life, driving privileges, and the ability to rent property or get a loan can all be compromised by a drug conviction. 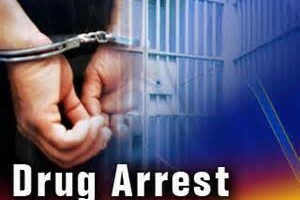 If you been arrested for a drug offense, Call the Law Office of Russell C Sobelman at 781-581-3100 for help. We can navigate the issues and work with you to build your defense. You can also contact Lance Sobelman after hours on his cell phone at 781-477-1818.